“Oh, boy! This is like a homecoming for me”, were the first words the audience heard. That was not just a sentence; it was a pebble that was dropped in a pond of students, which sent out ripples of a sense of belongingness across the auditorium. It is not always what you say that matters the most, at times it is the way you say that makes the difference. Such was our guest, Mr. Anshuman Mishra – an IIT Kharagpur alumnus – and what could have been a better homecoming than coming in capacity of a CEO. This Saturday, we the students of IIT Kharagpur were obliged to have Mr. Anshuman Mishra (CEO, Mercadeo) and Mr. Abhishek Jain (Regional Manager, Asian Paints) with us. 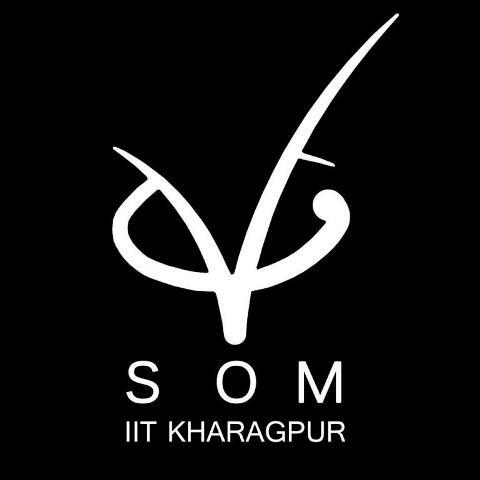 Together, they conducted a ‘Marketing Workshop’ on ‘Development and launch of New Brand/Product’ which was organized by Marketing & Advertising Club (VGSoM, IIT Kharagpur) and Students’ Alumni Cell (IIT Kharagpur). Conventionally a workshop or a guest lecture starts with the speaker briefing the audience and introducing the topic of discussion. But this was no usual workshop. 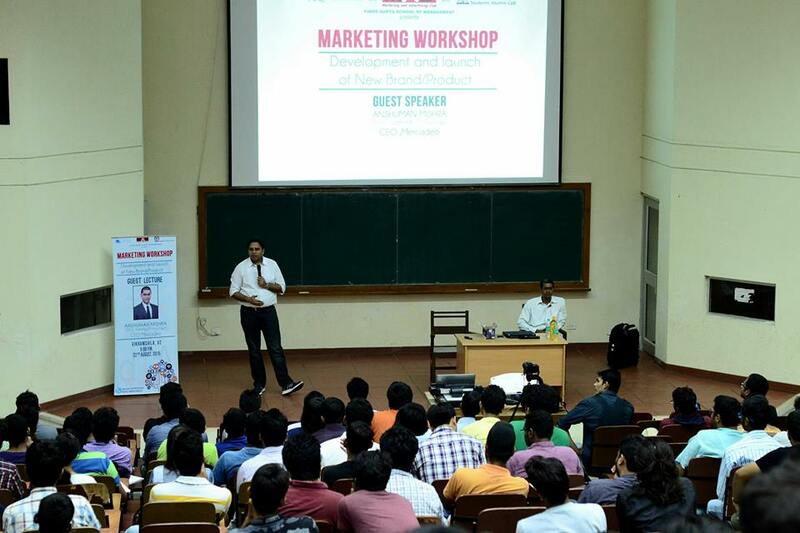 Our guest from Asian Paints started off with taking up students’ questions and then building upon them in order to convey the essence of basic topics like – Traditional Marketing, Digital Marketing, Targets in a market, Brand value, Segmentation, Positioning, Pricing, difference between Sales & Marketing etc. Real time cases of reputed brands such as Cadbury, HUL and Asian Paints were taken up in order to explain the flow of thoughts, actions, repercussions and solutions that had been incorporated in the past and had thus shaped the present of these brands. Apart from this, he focussed on explaining to the students, the relevance of practical learning, which would be very useful once they enter the corporate world. 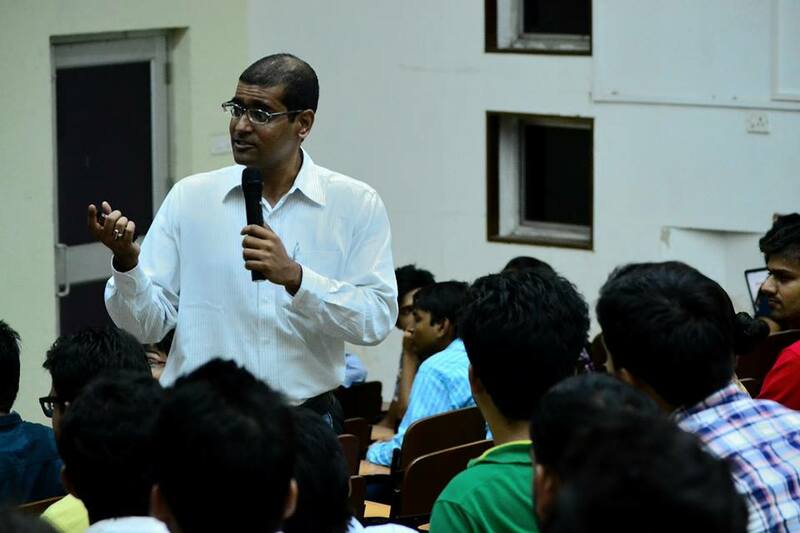 Instances from his personal experiences at IIM Lucknow helped students relate to their current dilemmas and thus get relevant advice immediately. It gives you immense pleasure when someone such as the Regional Manager of a renowned brand is personally addressing your queries. So immersed were the students in this interactive session that no one noticed the best part coming. Having set the stage, the reins were handed over to our alumnus who further took it to another level, the agenda being – Development and launch of New Brand/Product. The cherry on the top for this activity was the product type that our guest introduced. It had to be a product which was a result of disruptive innovation, which was to be in the lines of Sherlock Holmes’ ‘Magnussen’s Glasses’. This was an open house discussion where students were the ones bringing up the steps to be taken and thought process to be employed in the complete launching process. Though the topics covered were vast, a brief would be like the following idea flow – Intended market, purpose of marketing, what needs to be done, selling concept, buzz marketing, viral campaigns, test marketing and its stages, different departments collaborating, pricing, production plan, sales force alignment and finally customer service. Our guests did not forget to apply one of the essentials of marketing, i.e. ‘people need incentives’. They maintained the tempo of student participation and interaction throughout the workshop period by gifting chocolates to the students who gave correct answers. As a matter of fact, keeping intact a student audience of around five hundred is not a cake walk. Call it for recognition, for real contribution or just for the sake of getting a chocolate, students showed immense enthusiasm which in turn helped to maintain the positive vibes of intellectual flow from the start till the end. The session concluded with Mr. Mishra helping the students with inputs on ‘how to gain practical, market oriented knowledge’ as previously put forth by Mr. Abhishek Jain. He introduced the Mercadeo program in this context, which was the key. Numerous video lectures by eminent personalities in this field, material corresponding to different market situations and all this backed by the performance statistics of students in the past helped the us get a clear picture as to how relevant this is and how important it is to take it up at this point of time. Thus ended a productive, knowledgeable, interesting and action-filled Saturday evening which was least expected to turn out the way it did.